The two events have been conducted simultaneously since 2014. 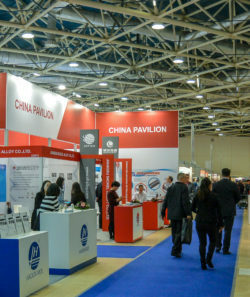 The co-location of the forum and the show has created the industry’s major trade show and networking platform in Russia.In 2019, the programme of the National Oil and Gas Forum and Neftegaz will be comprised of conferences, technological sessions, and workshops. Neftegaz once again is co-located with ELEKTRO, Russia's leading trade show for the electrical industry. Benefit from the advantages of a participation at German Pavilion. This is a community participation of German companies at Neftegaz 2019. High-quality complete package including stand construction, carpet, furnishings, electricity etc. 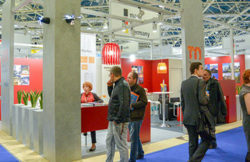 Neftegaz is the leading trade show for Russian oil and gas industry since 1978. 126 Chinese companies attended NEFTEGAZ 2018 on a total of 1.781 sqm net. We offer a special design of stand construction for Chinese enterprises! 22.550 visitors (93 % experts) visited Neftegaz 2018 – (ufi proofed). 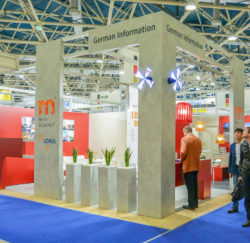 Benefit of the competence and experience of Messe Düsseldorf, organizer of No. 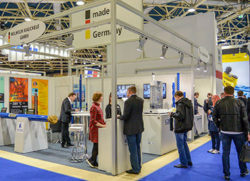 1 trade fairs such as Tube and Valve World Düsseldorf and related shows all over the world. Information about the market and fair. All information about NEFTEGAZ at a glance.